With all this “what kind of bride are you” talk I started to think what about the men …. I mean, aren’t there usually two people involved in this holy union? Ok. Let’s face it. The theme/inspiration – whatever you want to call it – will be decided by the bride. So what does a groom claim as his? Let’s start with the outfit. In my humble opinion as the groom he should be able to wear what he wants, and he should be able to pick out what the groomsmen will wear. Let’s be fair ladies, do we ask for his opinion when picking out our dresses or our bridesmaids dresses? Some of us did. But the majority of us .. perhaps not. 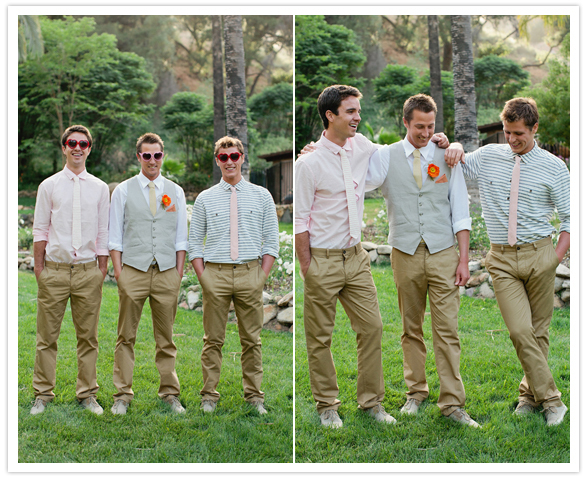 Regardless which direction you choose: casual or formal, the key to looking sleek on your big day is fit. A tailor is your new best friend. 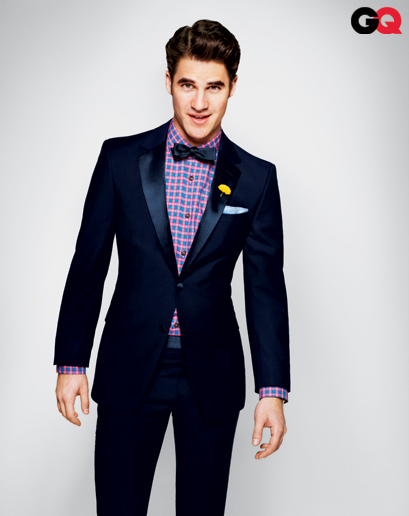 A well-tailored suit and shirt can transform a man into a lean mean wedding machine. This one sounds like a no brainer but you would be surprised on how often brides do the shopping for the groomsmen gifts. Bottom line men select your own groomsmen gifts. Yes, flasks and monogrammed beer mugs are nice, but really they are not unique, personal or practical. A great practical gift is a wallet; insert a note in the wallet thanking them for being part of your big day. Gift your men ties to wear on your big day. The tie can then be worn again and again. Purchase each groomsman tickets to a sporting event, festival or host a camping trip. That way you have an excuse to all get together again after the wedding. Special message for the Groom: The best way to put your stamp on your wedding day is to voice your opinion. When asked “what do you think?” answer the question with your opinion; don’t just say “whatever you think is best”. Be present in the planning process and care about the little details. Posted in Lovely Inspirations and tagged clothing, fashion, minneapolis wedding, minnesota wedding planner, style, wedding. Bookmark the permalink.